Think medical marijuana is legal in Bulgaria? Think again. And despite the popularity of a fatty in France, you best believe the officiers de police will be on your tail. But Germany, Spain, Denmark and now Poland? 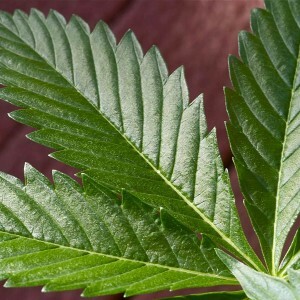 Cannabis for medicinal purposes is well and truly greenlighted. A growing number of European countries have legalized medical marijuana, or are in the process of legalizing. The regulations are different in every country; the European Union does not have a common policy and leaves medical cannabis to the individual member states. Dutch company Bedrocan used to be the only European producer of medical cannabis, but it’s now losing ground to large-scale Canadian producers, like Canopy Growth Corporation and Tilray. Tilray is one of the fastest growing cannabis companies in the world. Based in the small harbor town of Nanaimo on Vancouver Island off the coast of British Columbia, the company grew from a staff of six to more than 200 employees worldwide in just three years. Tilray operates a 60,000-square-feet medical cannabis research and production facility and grow op in Nanaimo, providing cannabis products — including whole flower, ground cannabis, drops and capsules — to over 20,000 Canadian medical marijuana patients. Exports are growing fast, as is the number of countries Tilray is exporting to. Last September, the company announced its plans to invest US $24 million to build state-of-the-art European headquarters based in Cantanhede, Portugal, about 67 miles south of Porto. The cultivation license it received from the government of Portugal has made Tilray the first company to legally export medical marijuana to Europe from North America. “Portugal has the ideal climate to cultivate cannabis, a highly-skilled health care workforce and a vibrant research community. Tilray has no plans to cultivate and produce cannabis for the recreational market when Canada goes legal nationwide in July 2018, with the company choosing to remain focused on the medical market and plans for European expansion. Big Buds Magazine talked to Sean Carney, Tilray’s director of business development and government relations in Europe. Carney originally hails from Burlingame in San Francisco’s Bay Area, but moved to Prague in 1999. He worked as a reporter for the Czech media and The Wall Street Journal prior to joining Tilray in 2015. A fan of skateboarding and Czech pilsner beer, Carney — who also volunteers as a firefighter at the Czech Firefighters Association — told us about his company’s plans to produce standardized cannabinoid medicines and to distribute them to patients worldwide. BigBudsMag: How did Tilray first get active in Europe’s medical marijuana market? Sean Carney: It started when I joined the company in September 2015 — it was the first pair of Tilray boots on European soil. The first commercial transaction was to Croatia in the spring of 2016. That marked the very first Health Canada issuance of an export permit for medical cannabis products; it was a small administrative step but a huge leap for the industry. That in essence was the birth of the contemporary global trade in medical cannabis products led by Canadian players. BBM: What does your work consist of? SC: I wear many hats, but really my focus is enabling creation of long-term value for the company by identifying customers, markets and relationships where none were or are obviously visible. My task is to create opportunities for company growth in step with the crucial task of expanding patient access in Europe to cannabis-based medicines. BBM: Croatia was the first European country to import Tilray products. Why did it happen in the Eastern European nation first? SC: Croatians decided they needed to serve patients, and [the Croatian government] determined they would do it if they could find the right partner. That partner was Tilray. At that time, many countries were talking about medical cannabis, but few were taking any proactive steps. Praise belongs to the Croatians for taking the bull by the horns, and to Canadian officials who, by supporting this industry, are placing Canada at the forefront of global innovation in phytosciences, biotech and life sciences. Canadians are not blind to the economic and societal benefits a competitive, innovative and strictly commercial industry offers. Jobs, jobs, jobs. BBM: What have been the major landmarks for Tilray in Europe since the start of exports to Croatia? 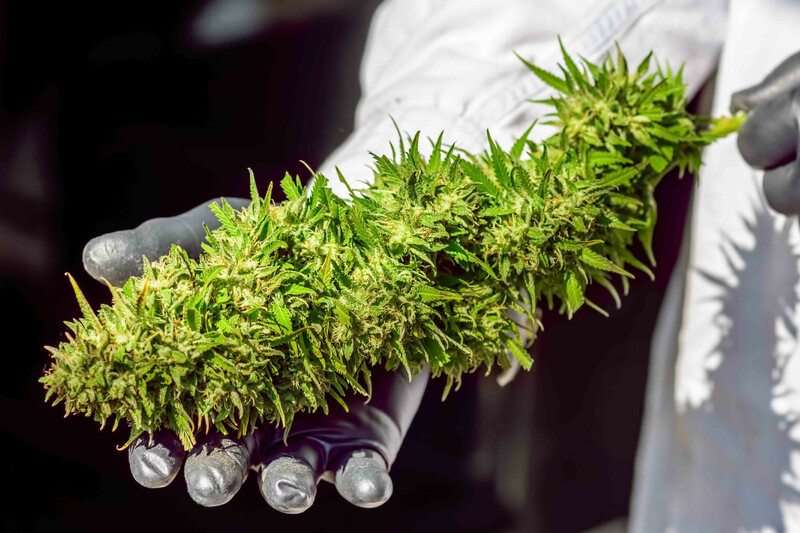 SC: The milestones more recently include Tilray in October becoming the first vendor ever to offer full-spectrum cannabis extract products to patients by prescription at pharmacies nationwide in Germany. In September Tilray was able to announce the fruits of a two-year effort: We secured required licensing in EU member state Portugal to cultivate medical cannabis, produce, and distribute medical cannabis products around Europe. Then in November we exported medical cannabis genetics from Canada to the EU, the first licensed producer to do this, and we became a bicontinental LP cultivator. BBM: Is there much difference in the way the various European governments respond to Tilray attempting, and largely succeeding, to break open the market for medical cannabis? SC: Some national governments and regulatory agencies have taken a relatively pragmatic approach, based on meeting patients’ needs. And general interest in the topic among regulators and health ministry officials is growing. This is in large part due to the emergence of standardized GMP-produced [good manufacturing practices-produced] cannabinoid medicines that allow precise dosing, nonpulmonary administration and long-lasting therapeutic effect. Such products, usually based on cannabis extracts and occasionally featuring isolated cannabinoids, also have defined compositions and well-understood active-ingredient levels, which we expect are characteristics welcomed by health insurers as they delve into the topic of reimbursement for cannabinoid medicines. BBM: Can you tell me about the new Tilray facility in Portugal? Will it be both research and production? SC: Yes, the Tilray EU Campus will have it all: cultivation, production, research, distribution. The EU Campus will be the hub from which Tilray provides GMP goods and services to competent authorities, commercial partners, researchers and healthcare providers around Europe. BBM: Can you describe a typical Tilray grow operation? SC: High tech, something like a space station. Really, the staff even wear gowning outfits reminiscent of spacesuits in order to ensure total cleanliness at all times. The cultivation teams are excellent. For example, the head of cultivation operations at our British Columbia site is a master horticulturist with over 20 years of experience growing plants and leading growing teams in large-scale industries, and has been involved in horticultural R & D to serve the pharmaceutical industry. Tilray doesn’t leave anything to chance. BBM: You live in the Czech Republic — how is Tilray doing there? SC: In late November Tilray completed its first-ever export of dried cannabis products for commercialization in Czech pharmacies. That pilot shipment was cleared through customs in Prague and is currently going through final obligatory batch testing and assay. Tilray medical cannabis will be available to Czech patients in pharmacies in time for Christmas. 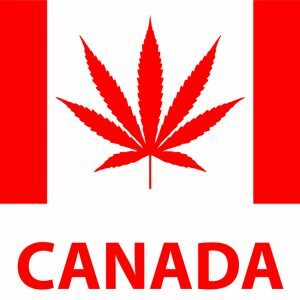 BBM: Does Tilray have plans to produce or export cannabis for recreational use to Europe? SC: No. Tilray is committed to advancing the science and knowledge of medical cannabis and cannabis-derived therapies. As proud members of the ethical, responsible and innovative medical cannabis industry, we do support cannabis legalization and regulatory modernization worldwide. However, participating in an adult-use market in Europe is not our goal. We aim to produce the world’s finest standardized cannabinoid medicines and to distribute those innovative products to patients worldwide.